The radio-controlled alarm clock made by Jacob Jensen is both compact and elegant: the perfect size for every bedside table and office table. 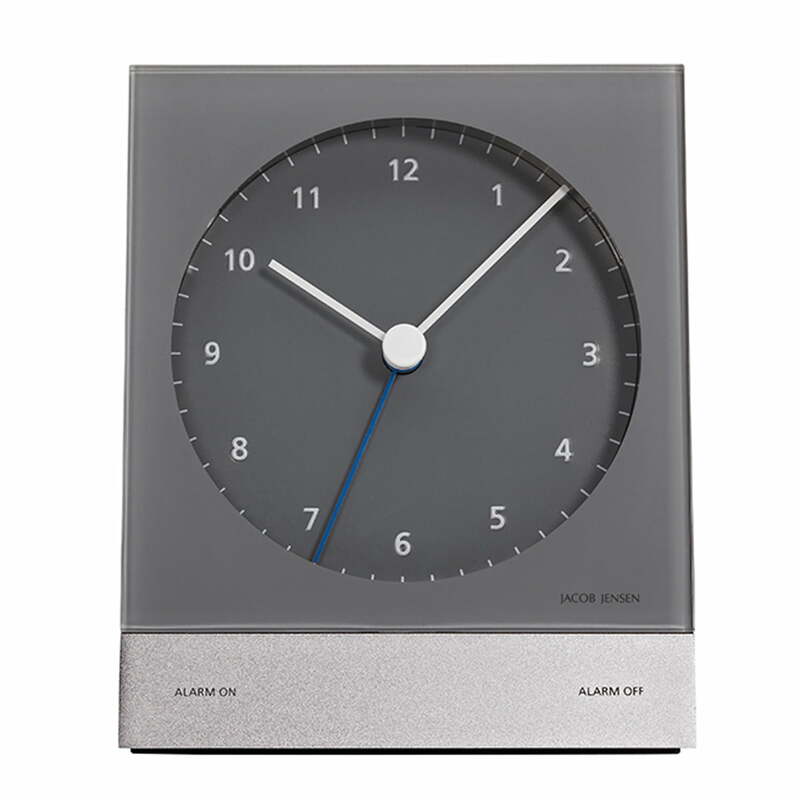 The Jacob Jensen clock is adjustable via the integrated buttons; it has a noiseless clockwork and an illuminated display with two LEDs, which illuminate the dial perfectly, losing their brightness slowly like a dimmer after nine seconds. The minimalistic design isn’t only very elegant, but it also grants perfect readability. 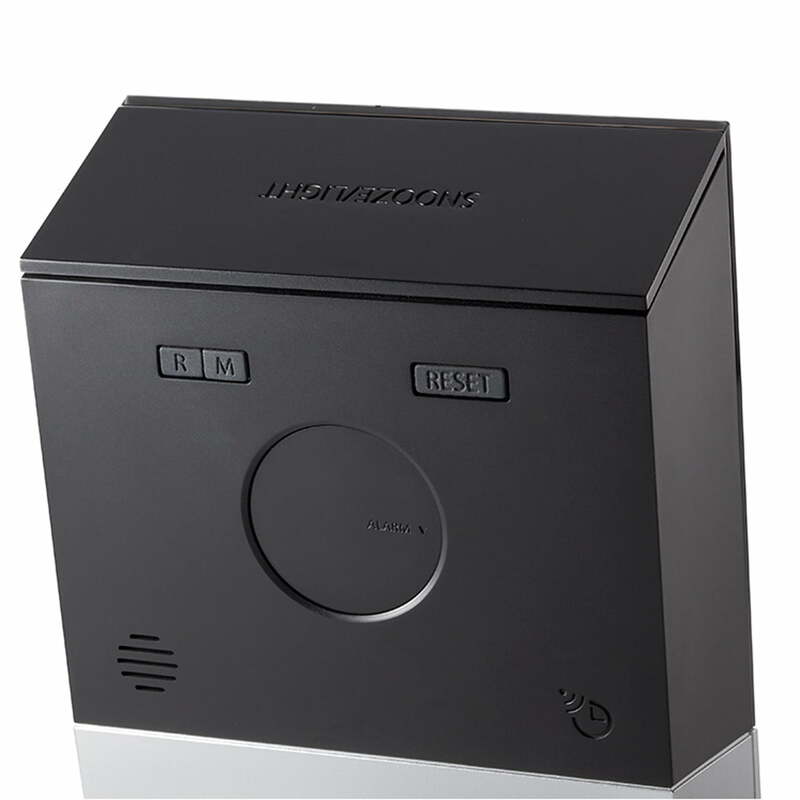 It has a rubber base under the battery compartment, which holds it safely in its place and protects the surface it is on. 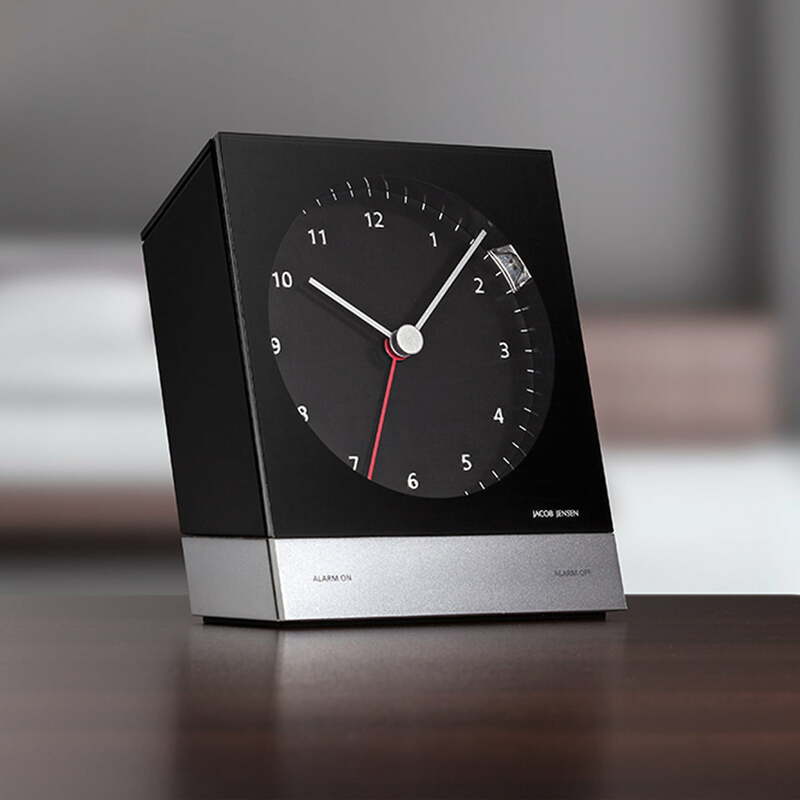 Just like an atomic clock, this radio-controlled clock adjusts its time automatically, so you are never late. 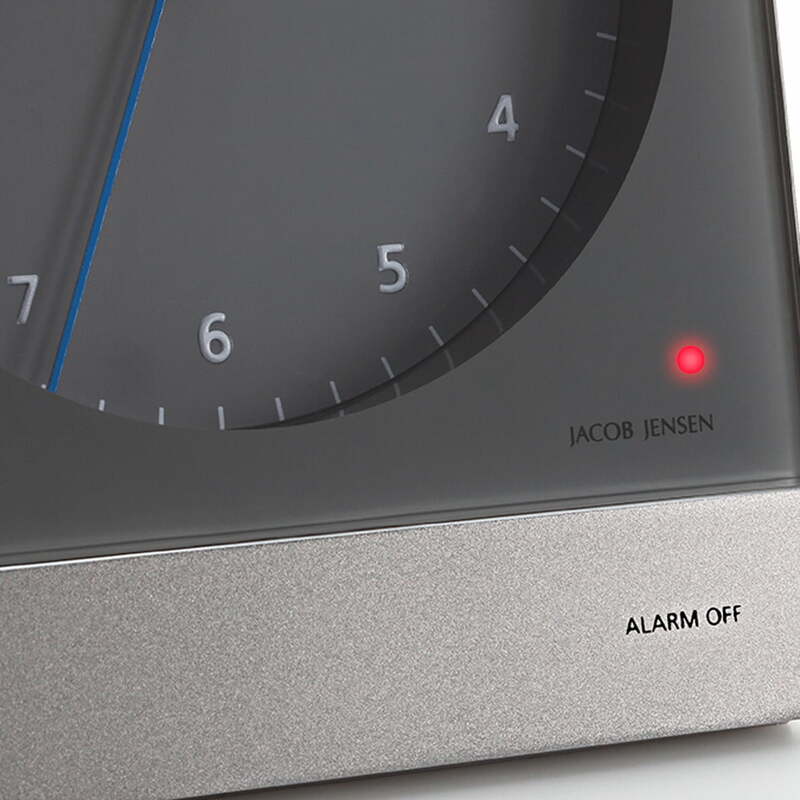 As soon as the waking time is installed and switched on via the front-button of matt aluminium, a small shining diode at the border of the dial appears for an instant: blue when the alarm is activated and red when it is deactivated. A subtle signal starts with a quiet tone when it is time to wake up, progressing gradually into a more intense waking tone. The snooze function returns every eight minutes for those who prefer to sleep a little more. The high class material also grants reliability, precision and enjoyment of the product and its design. The radio-controlled alarm clock changes into summer and winter time on its own. The time is also adjustable by hand, which might make sense if you travelled into a different time zone. 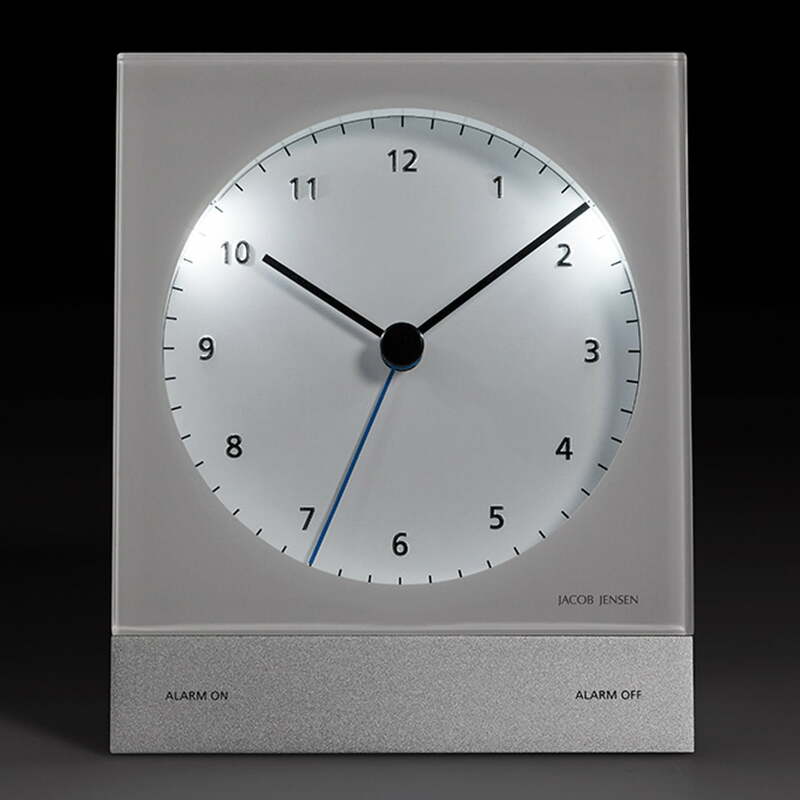 The alarm clock from Jacob Jensen is also available a quartz clock without automatic time adjustment. 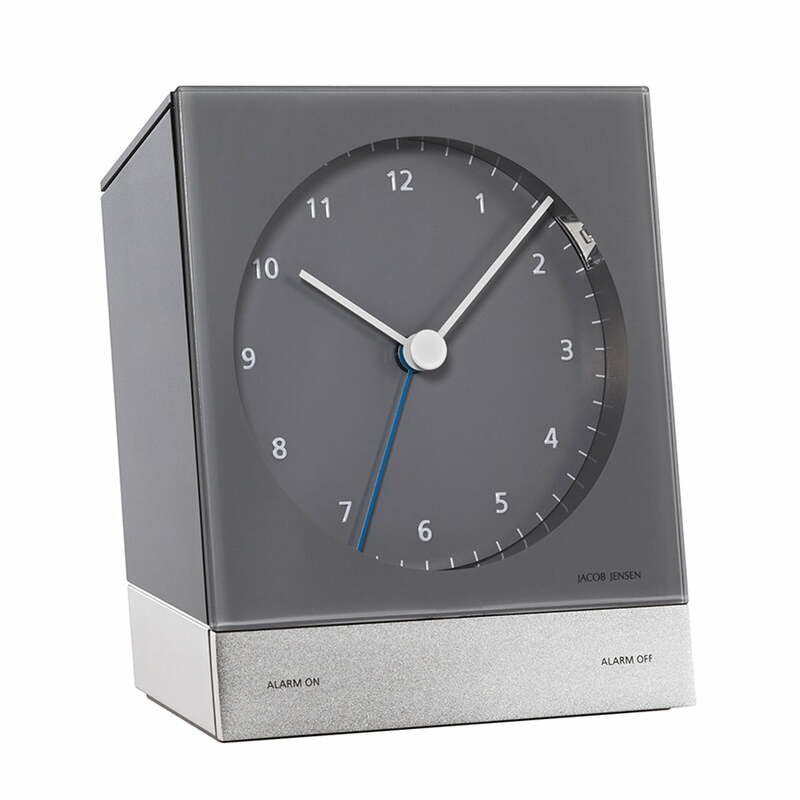 Please Note: The time zone used for this radio-controlled alarm clock is Central European Time (CET), or Central European Summer Time (CEST), depending on the time of year. Outside of this timezone, the clock time must be set manually.